Organic. Bold by nature. Rich & hearty. Picked & pressed. Not from concentrate. The juice has been pasteurised & contains no preservatives. Suitable for vegetarians. Why organic? Organic farming uses traditional methods like crop rotation and natural pest control rather than pesticides and chemical fertilisers which can end up in the final produce. Artificial preservatives and additives are also a no-no. And we get simply the best tasting juice on the market - so why compromise? 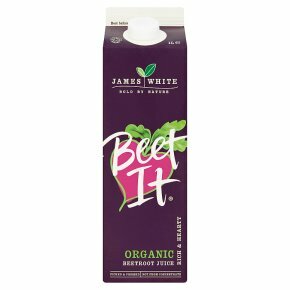 We add a small amount of apple juice to smooth the natural earthy taste of beetroot juice, whilst retaining both its distinctive taste and smell. Beet It is best served chilled.